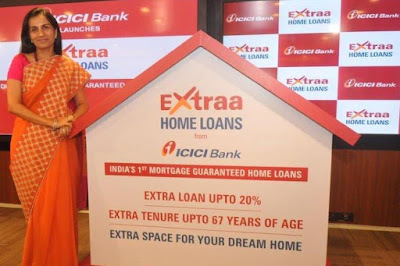 Do you know that ICICI bank has recently announced the Mortgage Guarantee Extraa Home Loans? How it works? What are the criteria for getting the loan? What is the eligibility to apply? Well, all of your questions are answered below in the article. Let’s have a look. The ICICI bank Mortgage Guarantee Extraa Loan is available in three diverse options and here are they. 1. For Middle Age Salaried consumer – This loan is made for the salaried consumer up to 48 years of age group. Under the normal home loan, term is up to retirement age basically 60 years and ICICI bank extraa home loans permit term up to 65 years of age. Mr. Mukesh aged 45 years, presently lives in a rented house in Mumbai. His monthly gross salary is Rs. 60000 and wants to purchase a flat worth Rs 60 Lakh. Normal Home Loan – He gives application for a home loan and gets permit of 35 Lakh with term of 15 years having EMI of Rs 50,000. Well, he needs more 25 Lakh to buy his dream flat. He is able to collect 20 Lakh and still wants 5 Lakh. 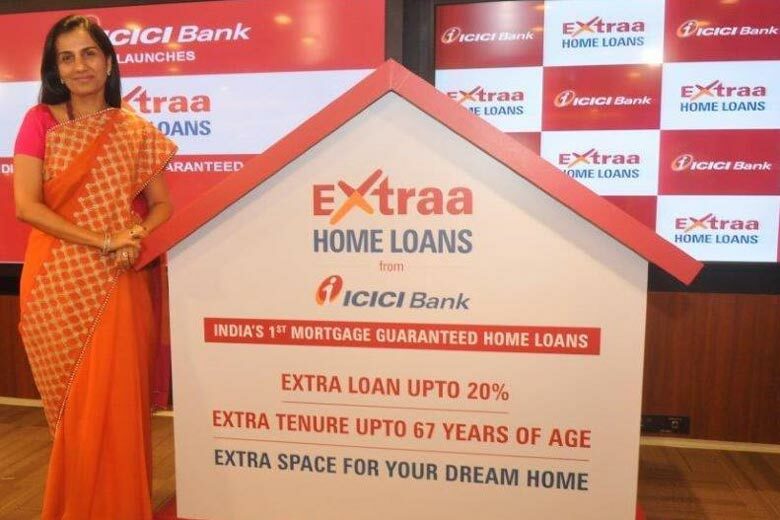 ICICI Extraa Home Loans - With ICICI Extraa Home Loan, he will get higher loan amount up to 42 Lakh with the same EMI and he requires paying fees for extra loan Rs 76,500 to get this loan. Moreover, the fees will be utilized to make payment of insurance premium for extra loan amount. In addition, the loan term will be extended up to 65 years of age. 2. For Self Employed – This loan is available for a self-employed person who earns a high income. Mr. Ajeet is of 40 years and running a diamond business in Surat. He generally earns 80,000 per month and wants to buy a home of Rs 72 Lakh. Normal Home Loan – With the normal loan, he will get approval of 48 Lakh with EMI of Rs 52000. However, he is capable of gathering 15 Lakh and still requires 9 Lakh extra to buy the home. ICICI Extraa Home Loan – With ICICI extra home loan, he will get approval for an additional home loan and he has to pay guaranteed fees to get this advantage. 3. For Young Age Salaried Consumer – This loan is available for the salaried consumers having age up to 37 years. Moreover, repayment term can be extended up to 65 years of age. Mr. Jitendra’s age is 32 years and lives in Bangalore. He wants to buy a flat of Rs 45 lakh and his gross salary is Rs 45000. Normal Home Loan - He will get Rs 25 Lakh of home loan with monthly EMI of Rs 26000. However, he is able to gather Rs 15 Lakh and still wants 5 Lakh to buy the flat. ICICI Extraa Home Loan – With ICICI extraa home loan, your home loan can be extended up to 30 Lakh with extra fees of Rs 10500 and with same EMI. Moreover, loan term will be extended up to 30 years and he can repay loan up to 62 years. Furthermore, this extraa home loan facility is provided only in Mumbai, National Capital Region, Surat, and Bangalore. The maximum home loan amount allowed is 75 Lakh. This is the reason, why you should go for an ICICI bank Mortgage Guarantee – Extraa Home Loans! Check here for official link of ICICI Bank Mortgage Guarantee Extraa Loan.